It's time… but with these fun, stylish and quality readers you won't mind. Made with function in mind; magnified reading glass, lightweight plastic frame with bold spring loaded temples and aspherical lens. Case included. 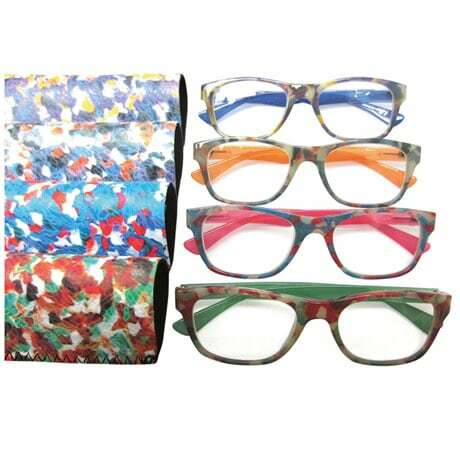 Choose Green, Pink, Orange or Blue, and magnification power; +100, +150, +200, +250, +300, +400, +500, +600.